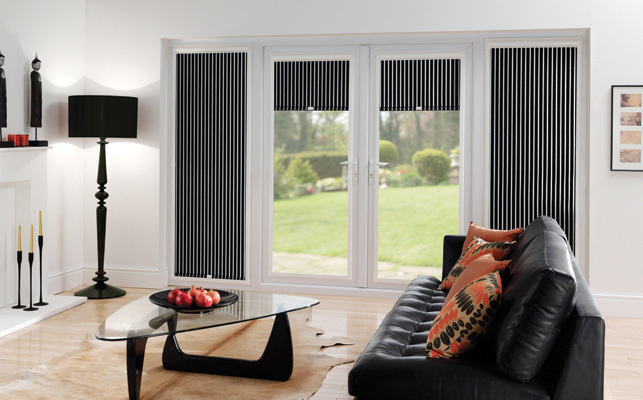 What do you think can be the best option for windows covering curtains or windows blinds? It has been noted that people are selecting the blinds because these windows coverings are the best decorative items. However, much before you choose the one that you find better matching with your requirements, you need to understand different varieties of blinds that can truly complement your house or office. Indeed, it is important that you first check out available options. Why are these blinds popular? The biggest question is that why people are choosing these windows coverings over the curtains? What extra these window coverings provide to the clients? The biggest factor is that these windows blinds can be used as decorative item to add beauty to your house or office. Plus, people can easily control the light and privacy. Apart from these benefits, they are highly durable and affordable hence people prefer it over the curtains. There are two options – physical local stores and online stores. The best way would be going with the online stores because buying these blinds from the online stores, you would not have to rush to the stores rather browse on your mobile and book your orders immediately. However, since you cannot get tangible experience while buying products from the online store hence to make sure that you are buying a right kind of blinds for a particular purpose, first consult with the executive of online store. Moreover, it would be good if you choose the most reputed online store to buy blinds because only the best agency can assure you about the delivery of high quality windows coverings. To check reliability of the agency, you can check the reviews of the customers on several social media channels and forums. There are several categories and sub-categories of these windows coverings – Venetian blinds, roller blinds, Wood blinds, Aluminum and mini binds. Moreover, they are made of different fabrics. Depending on your purpose, you can choose a particular one such as whether you want to install them in your living room office, kids room, kitchen or bathroom. There are some important points that you need to bear in mind – for bathroom, you should not go with wood and rather should settle for PVC or plastic blinds. In the same manner, you need to set the budget because all the varieties of blinds differ on the price factors. This is the most important stage hence requires proper due diligence. If you have never installed these blinds, you should not opt for DIY methods because it requires expertise. From the phase of measuring the windows to installing them properly requires expertise. Therefore, the best option is to consult with the experts who not only help you with measuring the windows properly but can help you installing blinds with perfection. Give your place a new look, a contemporary look to make the guests feel ‘wow’ when they pay visit to your house. This is one step ahead from the traditional mode of window coverings – curtains. Replace your curtains with stylish and trendy blinds.